The Selkirk Fire Department is proud to announce that Firefighter Jimmy Bercharlie has been selected to receive the 2016 Firefighter of the Year award. FF Bercharlie joined the department in 2012, at the age of 17, as a Junior Firefighter. In May of 2013 he became a full Active Firefighter upon becoming 18 years old. Only one month later, in June of 2013, he completed the Firefighter I course, which is the mandatory required course, completed by all interior firefighters in NYS. This class requires over 100 hours of personal time to complete. Only a few months later, in November of 2013, he completed the Firefighter II course, which teaches advanced firefighting skills. One month after FFII he completed the AVET Automobile Vehicle Extrication Training course, which he then took again in June 2014, to keep his skills up to date. 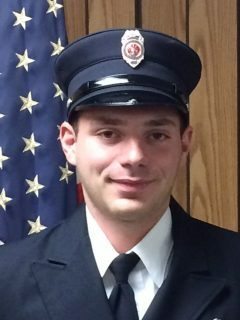 In September of 2014 he completed the MacBoston 18 Truck training event where he trained under the guidance of FDNY instructors. Firefighter Bercharlie is a true example of what every firefighter should be. He attends 30+ drills a year and answers the call anytime of day or night. 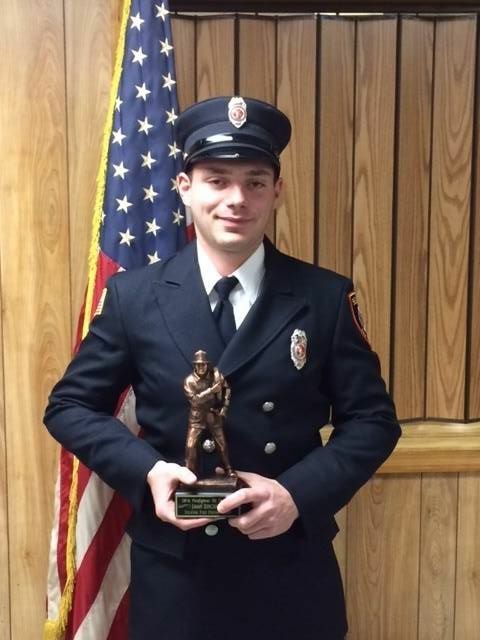 He was nominated for the Firefighter of the Year award by his peers, which just proves how much his brother firefighters think of, and respect, FF Bercharlie. 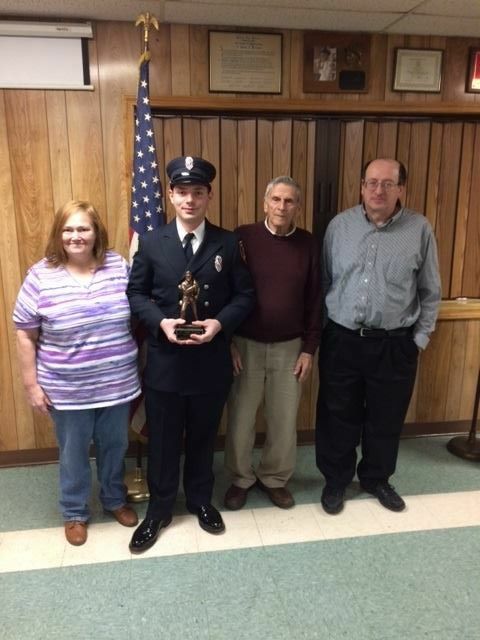 On the night of Monday March 6th, at the annual awards ceremony, sponsored by the Nathaniel Adams Blanchard American Legion Post, in Delmar, FF Bercharlie was to receive his award. However he was unable to attend due to the fact his girlfriend was in a car accident a few hours away, and he left before the ceremony to tend to her. Just a testament to how much FF Bercharlie cares about those around him, and a perfect example of the type of person he is. 2016 FF Of The Year Jimmy Bercharlie. 2016 FF Of The Year Jimmy Bercharlie with his parents and Grandfather.